黄浩哲, 申重阳, 谈洪波, 等. 姚安MS6.0地震典型重力前兆孕震模型量化研究[J]. 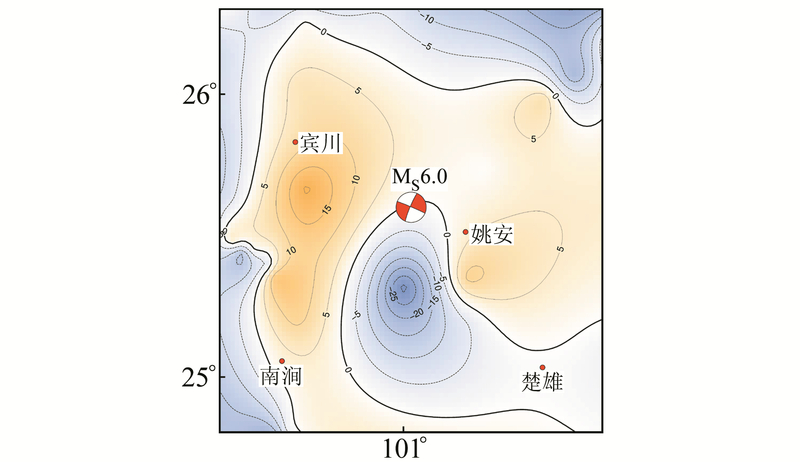 大地测量与地球动力学, 2019, 39(4): 351-355. HUANG Haozhe, SHEN Chongyang, TAN Hongbo, et al. 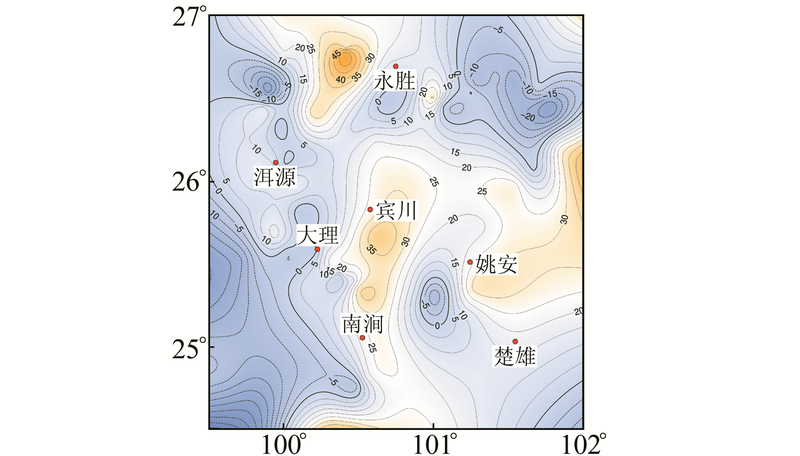 Quantitative Research on the Seismic Model of Typical Gravity Precursors in Yao'an MS6.0 Earthquake[J]. 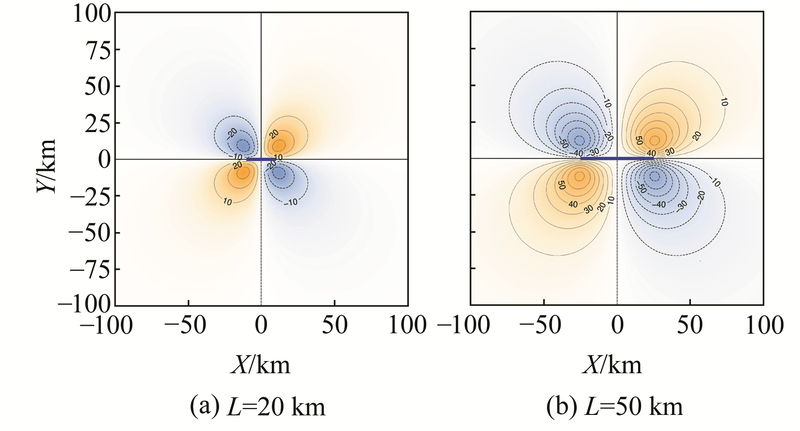 Journal of Geodesy and Geodynamics, 2019, 39(4): 351-355. National Natural Science Foundation of China, No.41674018, 41431069; National Key Research and Development Program of China, No.2017YFC1500204. SHEN Chongyang, researcher, majors in the observation of gravity and crustal movement, E-mail: scy907@163.com. HUANG Haozhe, postgraduate, majors in the observation and application of gravity, E-mail:308997738@qq.com. Foundation support: National Natural Science Foundation of China, No.41674018, 41431069; National Key Research and Development Program of China, No.2017YFC1500204. About the first author: HUANG Haozhe, postgraduate, majors in the observation and application of gravity, E-mail:308997738@qq.com. Corresponding author: SHEN Chongyang, researcher, majors in the observation of gravity and crustal movement, E-mail: scy907@163.com. Abstract: Based on the lock in the shearing force model and seismic dislocation theory, we describe the lock in shearing force of the earthquake as an equivalent dislocation. We build the mathematical relationship between lock in shearing force and the surface gravity. 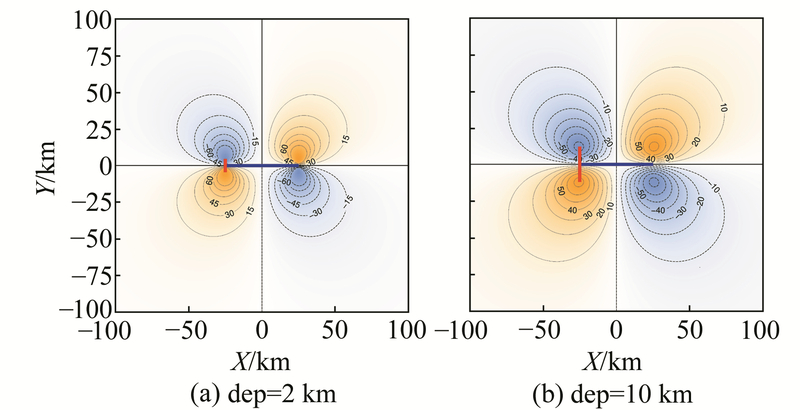 Considering the rough-difference interference, we use robust-Bayesian least squares inversion to obtain the parameters of equivalent dislocation. The inversion results show that the seismogenic type is high dip angle strike-slip, and that the seismogenic energy is close to the Yao'an earthquake moment magnitude provided by USGS. 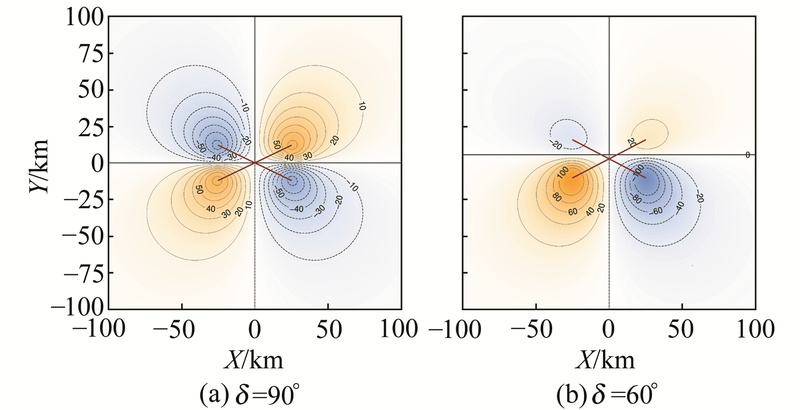 It proves that this method can be applied to predict the future focus characteristics and seismogenic magnitude with the four-quadrant gravity image before an earthquake.